Line Audio Design located in Sweden is a company known for making "quality microphones for demanding situations". •Large membrane area using triple small membranes. •The triple membrane cartridge combines the low noise of a large membrane with the fast and detailed response of smaller membranes, which besides their fine tonal quality are tougher and not as easilly destroyed. •Well balanced, uncoloured response, covering the full audio spectrum. •Solid deep bass, natural midrange and silky soft top ensures that all qualities of the source and ambience are captured with minimal distortion. •New"i"-types with even lower noise level! 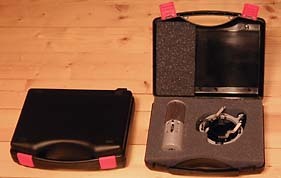 •Elastic holder and protective case included! The QM12i is actually four complete/independent SM3Ls in one body with each membrane angled 90 degrees. It's capable of recording true stereo and quadraphonic (four channel) sound with one microphone! Prices range from $156.60 (CM3) to $806.77(QM12i Quad Mic). They can also be purchased from No Hype Audio located in Belgium. 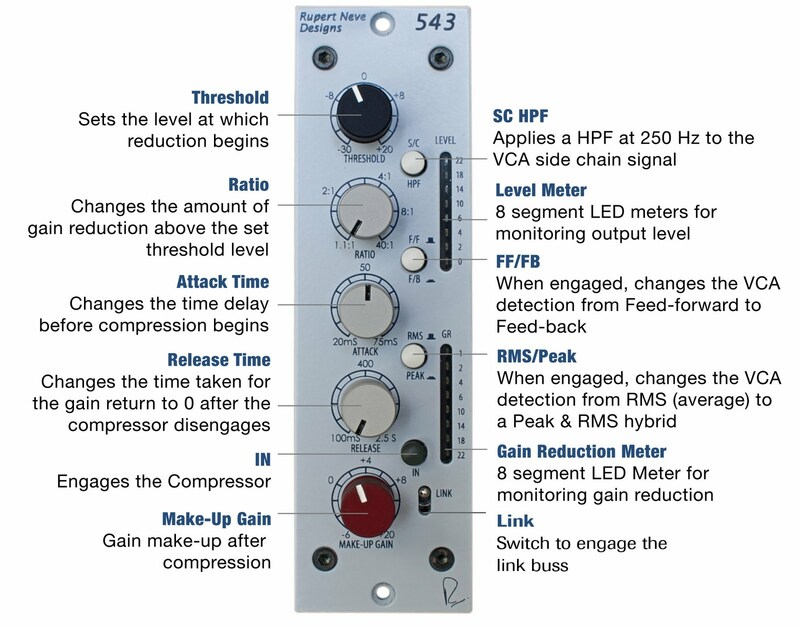 "The Portico 543 Mono Compressor features a fully controllable compressor-limiter with feed-forward/feedback modes, Peak/RMS detection and a built in side chain high pass filter. With an unrivaled heritage and a tremendous feature set, the 543 yields a combination of rich warmth, flexibility and precision that is sure to resonate in the ears of sound engineers the world over." "Built around Mr. Rupert Neve’s custom transformer designs, each 543 module has individually controllable threshold, attack, release, makeup gain, ratio, side chain HPF, Feed-Forward/Feed-back selection and Peak/RMS detection modes. With the compressor inactive, the 543 may be used as a transformer-coupled, high-performance line amplifier, and two 543 may be linked for stereo operation as well. The chassis is built to standard 500 series specifications, with power and I/O provided by the rack."